I can express myself in English normally, but when it comes to recipes, I have to look (more specifically google) the names of ingredients in English from Urdu. 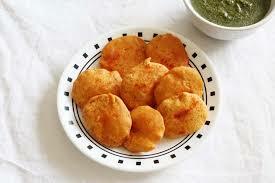 Pakoras are a very famous South Asian dish. Especially in Ramdan they are considered an essential snack for Iftar. So, here goes my mom’s recipe for making potato fritters. *Note: If you are using a 5 ml teaspoon than there is no need of heaping, you can add leveled teaspoon. 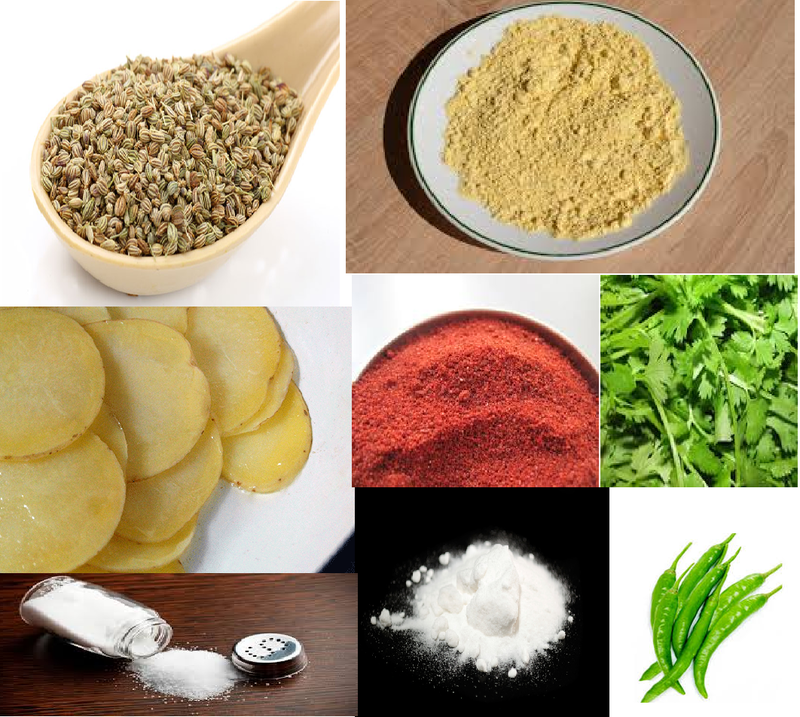 Also the salt and red chilli powder can be adjusted according to your taste. If you taste the batter you’ll know how much of these ingredients are required. First of all add all ingredient into gram flour and add a little water to form a slurry. The slurry should not be very thick or thin. Just a small amount of water will be required. Now, take a utensil or pot in which the pakoras are to be deep fried. Take a potato slice, dip it in the slurry you have made to make a cover over it, and add to the pot for deep frying. Add as much slices in the same manner that the utensil can hold. Remember that the flame should be high while adding slices, then you can turn it to medium. Deep fry until the skin becomes nearly dark brown (see the picture). Now, serve with chat masala or ketchup.